Phone: Crystal Palace midfielder Darren Pitcher dies aged 49 - SWANKYLOADED OFFICIAL BLOG. Former English professional footballer, Darren Pitcher who played as a defender and midfielder for Charlton has died at the age of 49, the League One club announced on Monday. 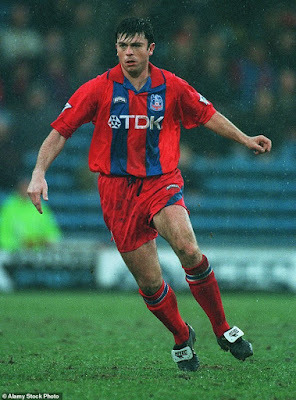 Pitcher, who joined Charlton at the age of 13, made 214 appearances and score 12 goals before joining Crystal Palace in 1994. His playing career came to an end in the wake of a serious knee injury he suffered against Huddersfield following a challenge from Paul Reid during a First Division match on August 31, 1996. According to reports, Pitcher was working in the building trade after leaving professional football. Crystal Palace has taken to their official website to pay tribute to Darren Pitcher. "Crystal Palace are saddened to hear of the passing of former midfielder Darren Pitcher at the age of 49," the Eagles said. "Everyone at the club would like to pass on their condolences to Darren's family and friends."